Wouldn’t it be nice to organize your clothing in a dust-free closet? 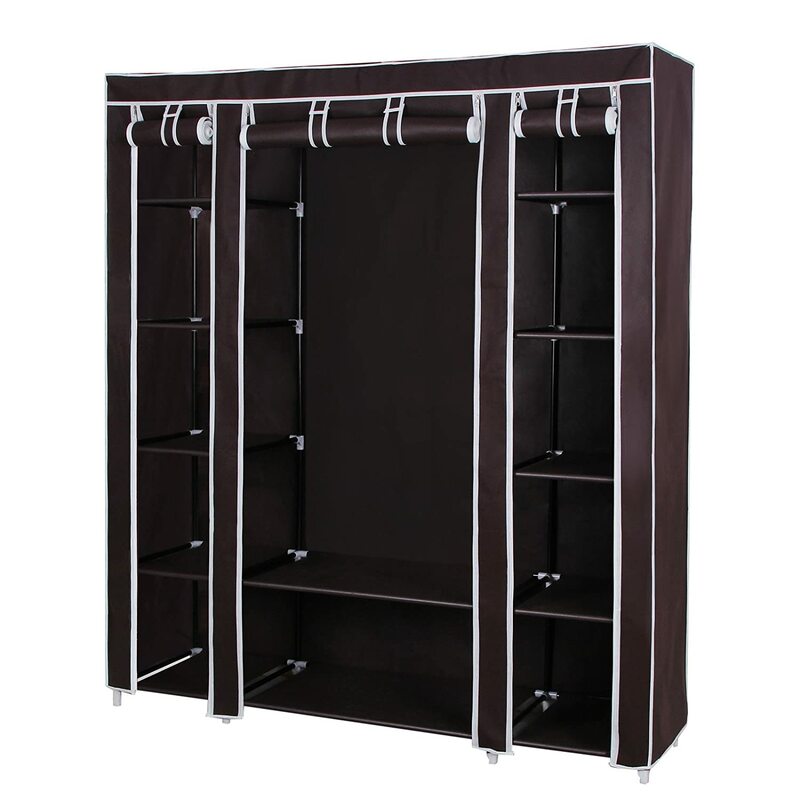 These portable closets will be the most convenient and economical place to put your clothes. They come in different looks to suit your style and need. Plus, they are very affordable which you can even buy two or more items to give your loved ones! This portable closet can be customized to fit your needs. You can even make it 2 or 3 separate units if you like. 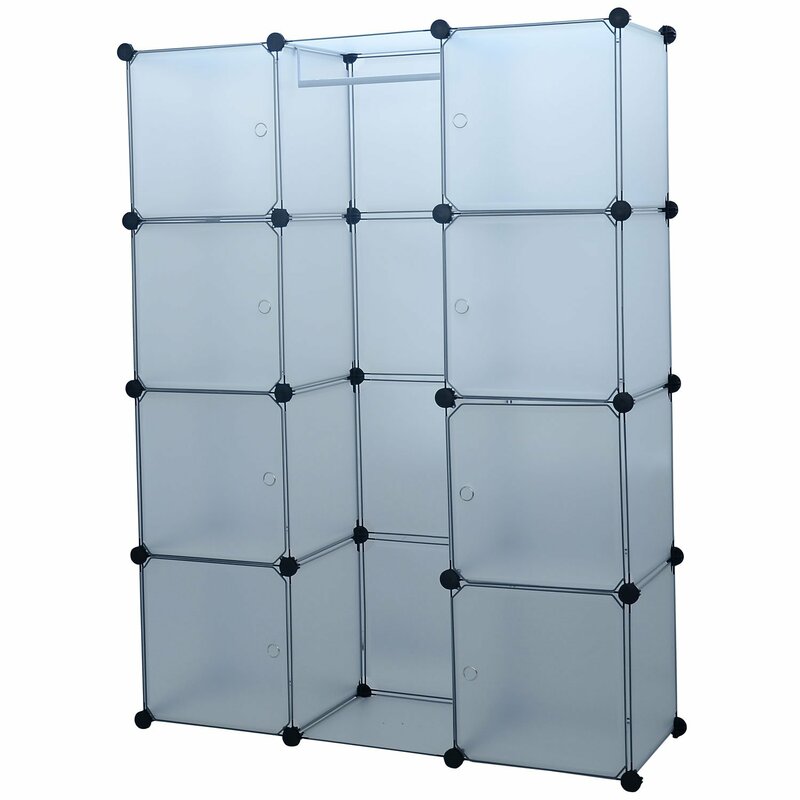 It has cubes that all have individual doors and works vertically or horizontally. It measures 44.75″L x 14.75″W x 58.75″H. Plus, it saves space in your room by keeping all items together! This portable closet features bottom drawers that are removable. It is ideal for dress shirts, particularly for men. The doors are magnetic so you won’t get annoyed by slightly open doors. It measures 74cm L x 46cm W x 172cm H. Plus, it has water-proof fabric tiers! 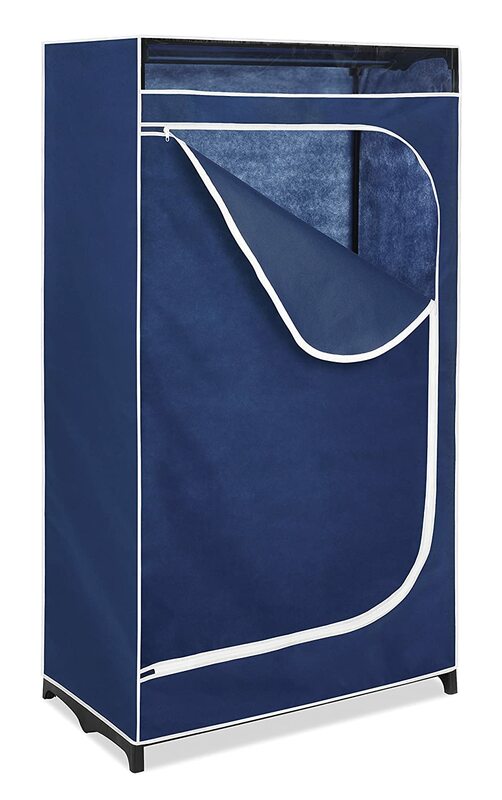 This portable closet is available in 8-, 16-, 20-, and 25-cube options for your best fit. 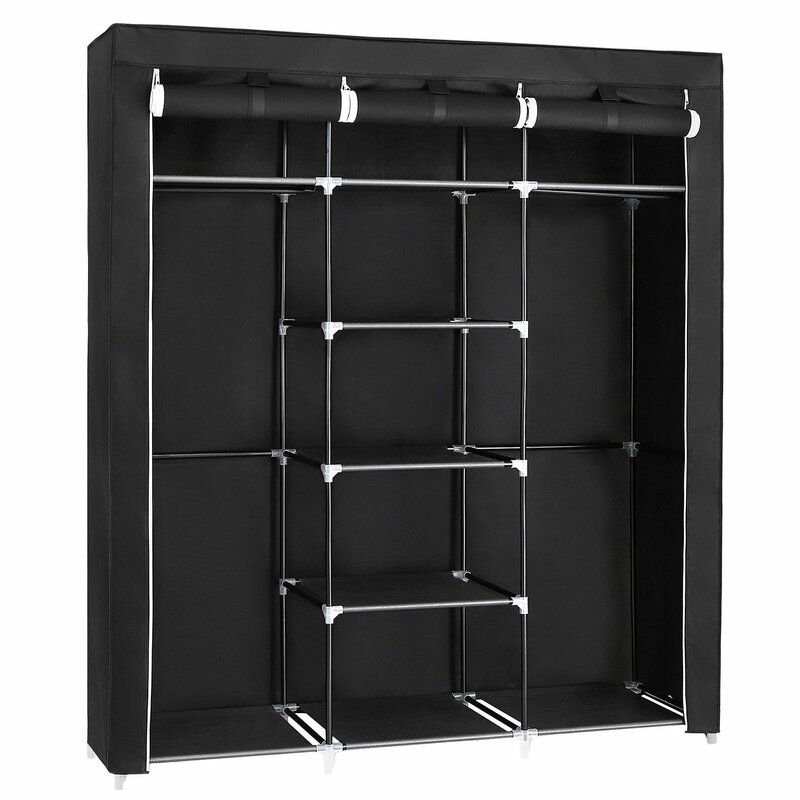 You can customize the size of each section to create areas for hanging garments and shelves for shoes or shorts. Each cube can support over 20 lbs of items. Its doors feature a hole that handles for air circulation and prevents buildup odor. Plus, it includes hanging rails! This portable closet will not be needing any tools for installation. It has breathable fabric cover with an easy access zipper and sees through the window. It measures 19.5″ W x 60.0″ L x 64.0″ H. Its rod holds up to 50 lbs. of clothes. Plus, it is budget-friendly! 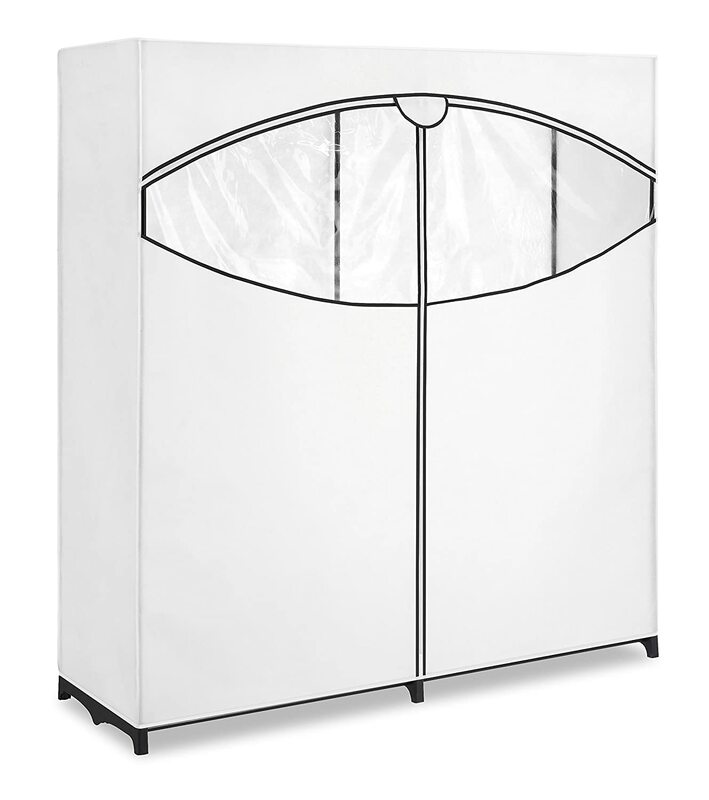 This portable closet has a viewing window while completely enclosed to keep dirt out. It has a weight capacity of 25 lbs and its fabric is made of polyester and cotton. It measures 19.75″ x 36.0″ x 64.0″. It comes in a blue or white color at a very affordable price. Plus, it is very lightweight enough for one person to move it! 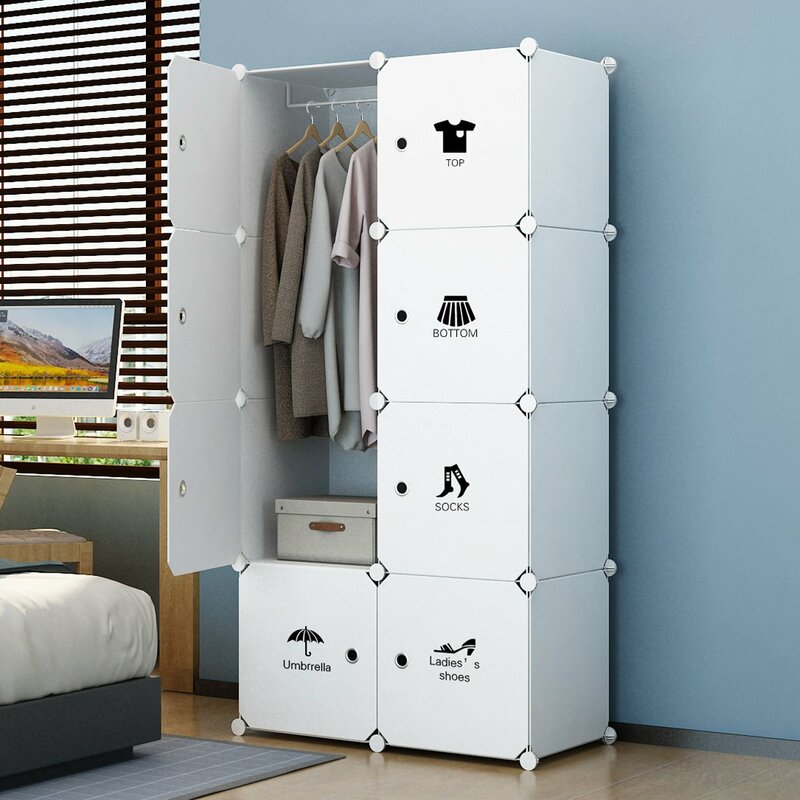 This portable closet will help you organize your clothes. It has 12 shelves, so you have lots of room for folded clothes. It has a nonwoven fabric cover and sturdy movable hanging rod. It also has a reinforced frame for strength. Plus, it has dust and water-proof fabric tiers that are easy to clean! This portable closet is for people that are a fashionista with excess clothes and no more space from his or her walk-in-closet that put it at the top of our list for the best portable closets you can buy. It features two movable clothes hanging rod and nine storage shelves that offers you extra space both for your longer outfits and folded clothes. It has zippered dustproof cover offered to keep your item away from dust. 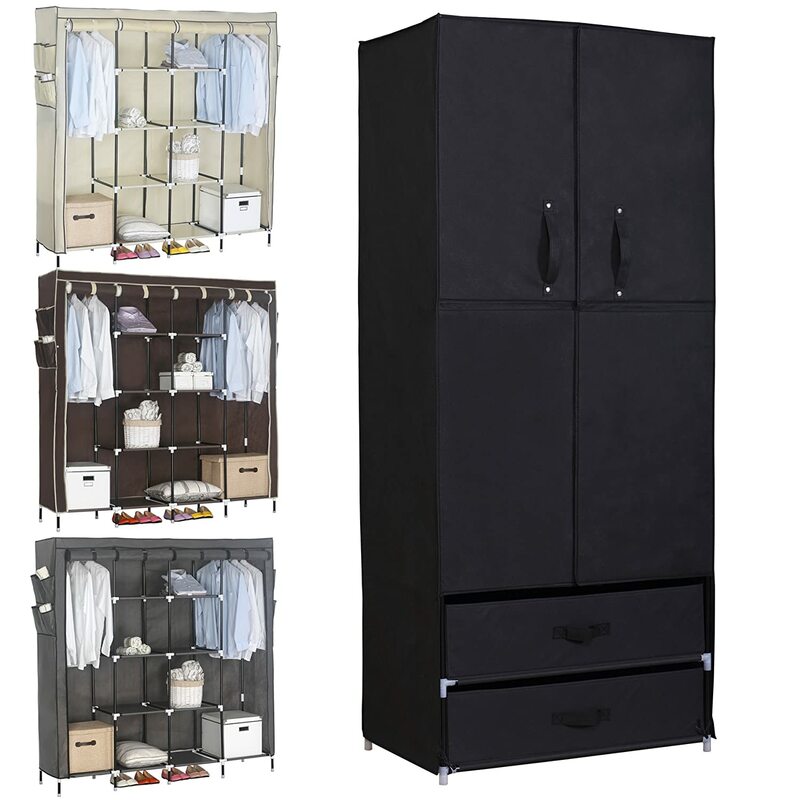 It measures 59” x 17 3/4” x 68 7/8” which makes ideal for small rooms or walk-in closet. Plus, it includes extra plastic poles!